I hope everyone is having a wonderful week! Here is this weeks meal plan… I hope you find some inspiration and maybe a few new recipes to try. *Both of these recipes are family favorites that I have been making for quite a while. I don’t have “my” recipe on the blog, so I found recipes that are very close to how I make it. Hope that is helpful. This weeks Meal Planning Printable is from Palmettos and Pigtails. Well, Tracey I meal plan cause I am not good about coming up with a recipe on the spot for dinner. I think that is something you probably do very well, so no worries. Thanks for sharing my link Brenna! 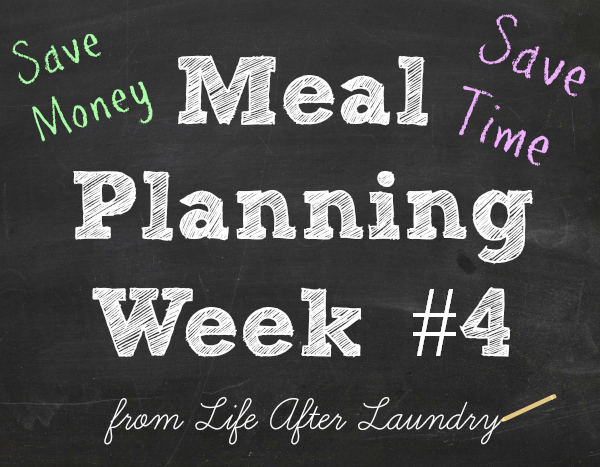 This meal planning series is very smart! Thank you! I loved the recipe, adding the mushrooms was a great addition to the perogies. Thanks for featuring my meal planner Brenna! It sure has come in handy….I printed off one and laminated it so I can use dry erase markers each week on it. I can’t wait to try some of your yummy meals this week! Shara @ Palmettos and Pigtails recently posted…Jalapeño Poppers: The Perfect Tailgate Snack! That is a great idea, I have been keeping mine in a plastic sleeve so I can do the same thing. But, I have had some problems with the marker not wanting to come off. I might have to try laminating it. Yummy menu! I love pierogies with anything and carbonara is one of my favorite pasta dishes. This looks like a very yummy menu! I really need to get better about planning out our weeks! Sounds like a tasty week! I’m going to have to try out those stuffed peppers; we were going to have those this week, and that recipe sounds especially delicious.